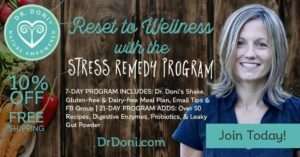 Dr. Doni Wilson, naturopathic doctor, shares her own approach to understanding and treating stress based on over 14 years of research and practice. There is not one single answer, nor one magic pill, when it comes to our health. That is because our bodies are intricate systems, with many interrelated processes. Even looking at unwellness from one perspective – stress, for example – is more complex then it may seem at first. And health is not achieved with a simple stress-reduction technique. To achieve optimal health and wellness, we need to look beyond the basics, and use science to understand our bodies. Science indicates that stress affects four major systems in the body: digestion, immune system, nervous system, and hormones. These systems affect each other such that an issue in one area leads to symptoms in another. And this creates the three problem networks I’m going to discuss today. For example, changes in hormone levels can cause mood changes, and issues in your digestion can lead to immune or inflammation problems. A vicious cycle can then develop that makes it more likely you will continue to feel worse instead of better. A perfect example of how stress – whether physical, emotional, past or present – can lead to a vicious cycle of unwellness is the science that shows that stress causes leaky gut—a digestive issue in which the intestinal lining is not as healthy as it could be, allowing undigested food to trigger the immune system (again, two systems creating a vicious cycle). This immune response creates inflammation that can travel throughout the body because of hormone-like inflammatory messengers called cytokines, and reveal itself as symptoms wherever you are most vulnerable. For one person that may be a headache, for another it could be sinus congestion, joint pain, fatigue, anxiety, menstrual cramping, or bladder issues. Read about 5 clues that leaky gut may be at the root of your health issues. Leaky gut is both caused by stress and leads to more stress because of the system-wide issues that develop. This is exactly why I refer to leaky gut as a problem network. The hormone insulin works to move glucose (sugar) from digested carbohydrates into your cells to be used for energy. When insulin production is overwhelmed by large amounts of glucose – whether from actual sugar or from carbohydrates that were consumed in excess – the liver steps in to turn the extra glucose in your blood into fat. This fat either becomes cholesterol or triglycerides, or it settles around your waist, or in your liver and starts a process of creating inflammation, which adds further stress to your body and is, at the same time, worsened by another hormone called cortisol. Read more about how carbs are converted to body fat here. Cortisol comes from yet another problem network, adrenal distress. The adrenal glands produce cortisol in healthy levels to wake us in the morning, these levels then gradually decrease through the day as part of our circadian rhythm. However, when we are constantly stressed, our cortisol levels increase to help us respond to the stress and don’t have a chance to return to optimal, instead, cortisol sends out mis-signals to the four major systems I mentioned above, spinning a vicious cycle of symptoms and inflammation. Elevated cortisol inhibits digestion and immune function, and disrupts hormone production and the nervous system. Inflammation results as problem networks 1 and 2 (leaky gut and imbalanced carbohydrate metabolism) are perpetuated, and that leads to most every symptom and health issue, including pain and weight gain. A problem network develops, yet again. To read more about adrenal distress, otherwise known as adrenal burnout, click here. 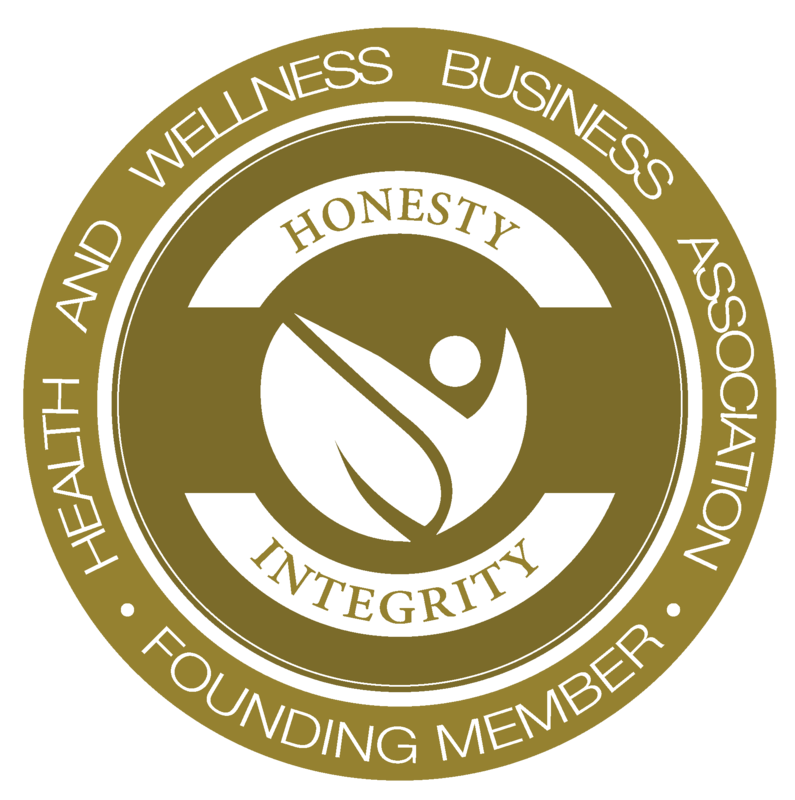 That’s why making one single change – even if it is something as significant as avoiding gluten – may not be enough to return you to full health, especially when you realize that these three problem networks make each other more likely. Leaky gut is known to throw off carbohydrate metabolism, and imbalanced carbohydrate metabolism is known to distress the adrenal glands. Once you have an issue in one area, it is more likely you will notice a problem in the next. For some people, the vicious cycle of unwellness might start in the digestive tract, perhaps with reflux, irritable bowel syndrome (IBS), food reactions, or the overuse of medications that disrupt the intestinal lining and the balance of healthy bacteria, such as antibiotics and anti-inflammatory drugs. For others the vicious cycle shows itself at first with weight gain, hormone imbalances, blood sugar fluctuations, food cravings, and/or elevated cholesterol levels. And still others start off with signs that the adrenal stress response is out of balance, such as anxiety, sleep issues, feeling tired, mood changes and/or lightheadedness. How do we break the vicious cycle? I know figuring it all out for yourself may seem complicated, especially if you don’t feel well. That’s why I’m here to walk you through it, step-by-step, and individualize the treatment to suit you. There is not one cookie-cutter approach to solving your health puzzle. It is a matter of sitting down and prioritizing, based on how stress and the three problem networks have shown themselves in your body. We may need to first determine the extent of leaky gut, as well as figuring out if there is anything that is still contributing to it. Or, we may determine that for you, it is more important to implement a diet change that will allow you to keep your blood sugar levels balanced, whether that is to avoid sugar, choose a protein each time you eat, or simply to eat every two to four hours throughout the day (while you are awake). Finally, and to me this is key, we may need to do a test to determine your cortisol, adrenaline and neurotransmitter (the chemicals that send messages in the nervous system) levels, and from there, which nutrients and herbs we need to use to help rebalance them. To read more about adrenal distress and how to address it, click here. In some cases, we need to do all three. To learn how to rebalance the three problem networks so you can permanently restore your health, I invite you to check out my book, The Stress Remedy, which includes a health questionnaire and a three-week program to help you get started addressing the three problem networks. To make your journey even easier, the book also includes 50 pages of recipes that are all gluten-free, dairy-free, egg-free, and soy-free, and they are suitable for vegan, vegetarian and non-vegetarian diets. If someone were to ask me—and they have—what is it that I do to help patients turn around their health and achieve their goals, the answer would be that I help them understand how their bodies are affected by stress and what to do to support their bodies under stress. Stress, after all, is an essential condition of being alive. To set up a time for me to review your case and help you to create a prioritized plan of action, click here. In the coming weeks I’m going to describe in more detail exactly how each of the problem networks is both caused by, and causes, more stress and the steps you can take to implement lasting change for your health. For now, please do share your thoughts or comments below. I enjoy hearing from you. If you have questions you’d like to ask, feel free to share them below as well and I’ll try to answer them as best I can. And if you’d like to jumpstart your plan for wellness, you can download a free Reclaim Your Wellness Action Guide and sign up for my weekly ‘Wellness Wisdom’ newsletter by clicking here.